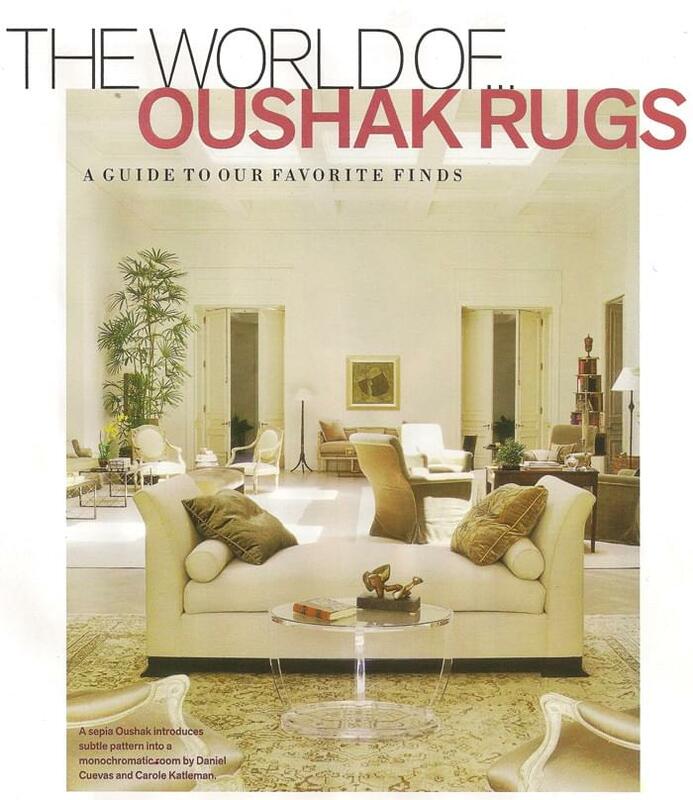 The new Veranda features an editorial called the "The World of Oushak Rugs, a guide to our favorite finds". The article features a beautiful Matt Camron Oushak. This Oushak is part of the Matt Camron antique reproduction line. Exported since the fifteenth century from the Turkish town that gives its name, the Oushak is a classic wool rug with plenty of plush warmth, both literal and visual. Historically, its earth tones and geometric floral patterns were associated with kings -- the rugs appear underfoot in early Renaissance royal portraits -- but today's versions aren't as formal. The feature softer palettes and motifs in combinations that fit the bill in all sorts of rooms, regal or not.